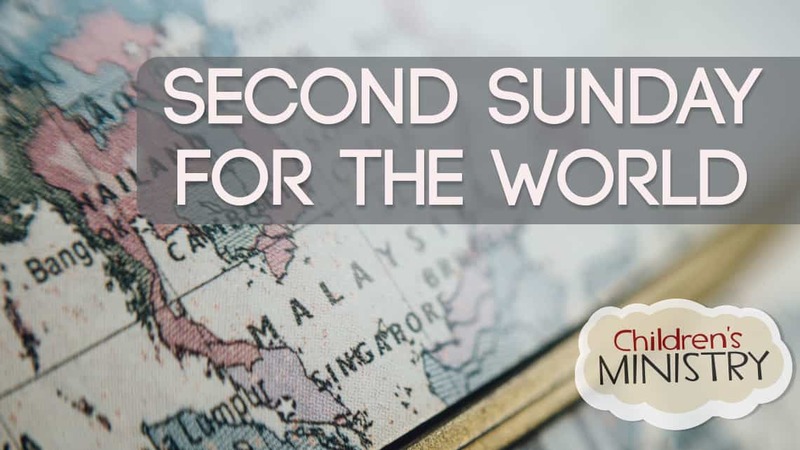 Second Sunday for the World is a program that seeks to nurture our children’s understanding of God and His heart for all people: for those who look like us and those who don’t, for our neighbors and friends and those who are in our communities as well as those who live around the world from us. Students learn how we can all be a part of God’s work: showing God’s love to others by loving them ourselves. Each month during the school year, on the second Sunday of the month, our children will join together to hear from different speakers who are sharing God’s love throughout our neighborhoods and our world. They will participate in crafts and activities related to the month’s theme and will have the opportunity to participate in being a part of making a difference for others–for example, by praying for the ministries and people about whom we are learning, sorting clothes donated for a clothing drive, visiting a food shelf and helping to stock the shelves, or writing cards to our missionaries and those they serve. Often, what the children are learning during Second Sunday is connected to what their parents are hearing in church. This gives families a opportunity to discuss what God is doing in our community and around the world.